This adorable little Handfuls stuffed lobster will having you wanting to go under the sea for imaginative adventure. With a cuddly body of soft red fur, floppy legs and claws, and fun wiggly antennea, you will want to take this loveable plush lobster on all your excursions. 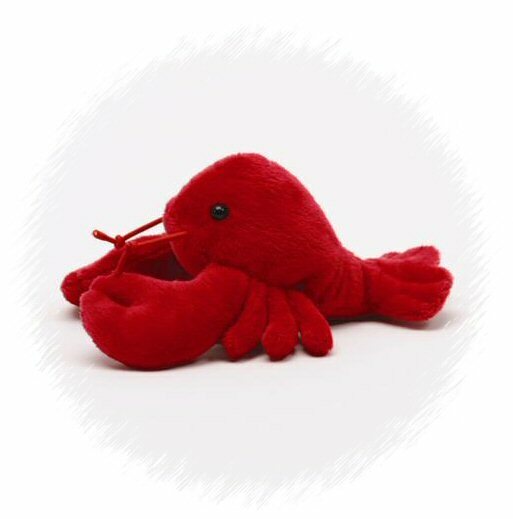 This cute little lobster stuffed animal keychain has soft red fur, and non-menacing floppy legs. This adorable little Handfuls plush clown fish has a soft orange and white striped body, black accents, and sweet smiling face.